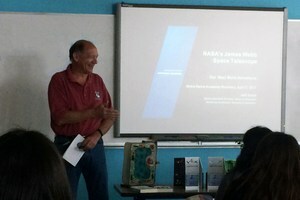 Northrop Grumman Space Systems Division General Manager Jeff Grant spent an afternoon with 27 members of NDA’s rocketry class. Grant spoke about his involvement with the nearly completed James Webb Space Telescope (JWST), which is due for launch in 2018. He also highlighted projects that are in the works at Northrop Grumman, discussed internship possibilities for NDA students, and even gave students a mini-lesson in physics. 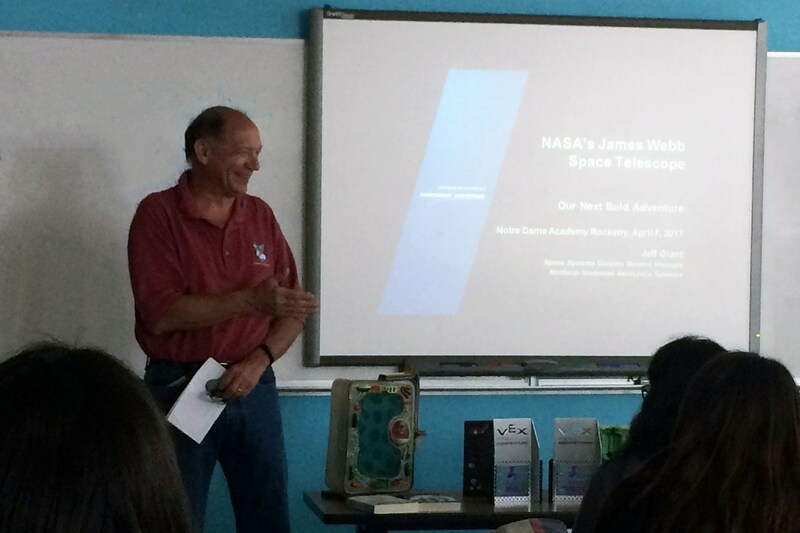 Mr. Grant expertly fielded questions from NDA students about the multi-nation JWST project such as, “Who gets to decide what it looks at?” Each senior in the class also received individualized advice about their engineering options in college and beyond. NDA thanks Mr. Grant for coming to campus to share his knowledge and encourage our students to make a difference by pursuing one of the many fields of engineering!